Andrew Chen bagged a huge stack on Day 1c of the #WSOPMainEvent! The 2016 World Series of Poker (WSOP) resumed on July 11 at the Rio All-Suite Las Vegas Hotel and Casino with Day 1c of the $10,000 Main Event. Another starting flight filled the tables at the Rio on Monday with a record-setting 4,240 players putting down $10,000 to take a shot at poker’s most important tournament of the year. That is the most players in a single starting flight of the Main Event in the tournament’s history. Play kicked off at 11 a.m. and continued for five two-hour levels before play paused for the night. At that time, more than 3,000 players still had chips to bag for Day 2c on Wednesday. Counting out the largest stack of them all was American Timothy Sheehan with 394,100 chips. Nobody else passed the 300,000 mark, but 13 others had at least 200,000, and two of them were Canadian. Montreal’s Danny Boyaci bagged 217,500 while Andrew Chen will return with 205,500. Sam Chartier (173,100), Ami Barer (163,300), Peter Jetten (155,200), Sorel Mizzi (141,700), Xuan Liu (131,400), Noah Vaillancourt (126,400), Tyler Bonkowski (126,200), Kristen Bicknell (125,100), Jean-Pascal Savard (119,700), Mike Smith (117,000), Andre Boyer (94,200), Mike Leah (93,000), Thomas Taylor (74,000), Jody Howe (73,200), Scott McMorran (70,900), Robert Cheung (69,300), Sam Greenwood (66,300), Jiachen Gong (58,700), Ratharam Sivagnanam (56,300), Gavin Smith (53,600), Chris Bowers (52,000), Max Greenwood (51,700), Mike McDonald (43,800), Will Molson (42,600), Evan Jarvis (38,700), Jonas Mackoff (35,500), Jason Mann (20,200), and Daniel Negreanu (18,600) were just some of the Canadians who had a successful Day 1c and will return on Wednesday. With registration now closed for this year’s Main Event, the field is now at a total of 6,737 entries, which is the most entries this event has received since 2011. Day 2a/b will see players from Day 1a and 1b returning in this prestigious $10,000 tournament. Action will get started at 11 a.m. and will continue through five two-hour levels before those remaining will bag chips for Day 2. 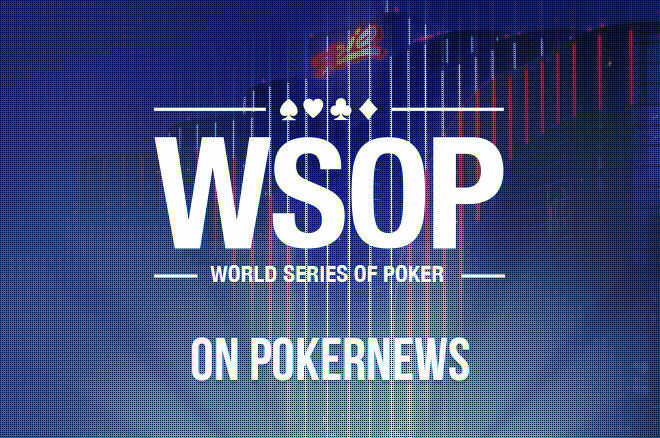 Check back with PokerNews Canada tomorrow for an update on the WSOP Main Event. Good luck to the Canadians in the field! Details courtesy of the WSOP Live Updates.